Set in the far future, on the tribal world of Gaia, this debut science fiction novel tells the story of Tian, a young hunter struggling with loss of her childhood lover who disappeared under mysterious circumstances. When Tian’s tribe is threatened by violent slavers, she received help from a Watcher—a monstrous, mythical creature who is actually a genetically enhanced anthropologist from an advanced civilization. Through the juxtaposition of the precivilization tribes and the technologically advanced society of the Watchers, the novel explores themes of the role of ideology and tradition in daily life. 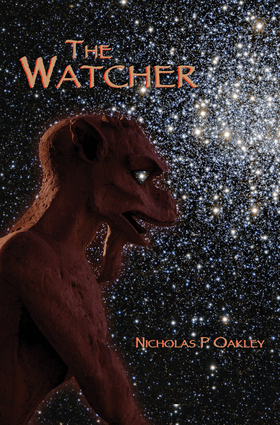 Nicholas P. Oakley is a speculative fiction author interested in anarchist political theory and ethics. He holds a master’s degree in global ethics from the University of Birmingham and currently works as a research assistant.